This Canada day long weekend, my husband and I went on a road trip to Invermere, British Columbia, about 3.5 hours away from Calgary Alberta. After paying off our debts, we promised ourselves that we will spend more money on vacation and time with family and friends given the extent we scaled back on these expenses during our debt repayment journey. I particularly liked the long weekend get away we just had because given the number of things we did, we only spent a total $182.00 for a 3 day, 2-night vacation in the Rockies. 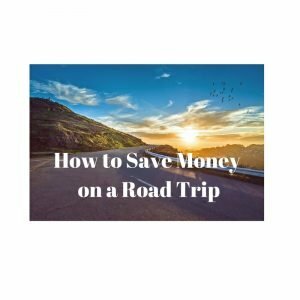 Here are a few ways we saved money on this trip. Not only is going on a road trip with friends extremely fun, it is also very cost effective. To save money on accommodation we made sure there was a minimum of 4 adults going on the trip. Luckily for us we had 6 adults (and 3 toddlers) that went on the trip so room and board expenses were extremely low. To fit that many people in one space, you want to look for a living arrangement or rental cars, ideally through Orbitz, TripAdvisor or Priceline. For example, we rented a 3-bedroom brightly lit basement suite for 2-nights. Another benefit to shared accommodations is they typically come with amenities and common space like a living room, dining room, kitchen and appliances. A fraction of what it would cost us to rent 3 hotel rooms for the same time period.This can help reduce costs even further through meal preparation and entertaining. The more people you have for a road trip, the more clearly defined the agreement should be about costs. Or if you want to fly and then drive check out our tips on how to save money on Google Flights. How many people are going before accommodations are booked and paid for. What expenses will be shared by the group and what expenses will be incurred individually. For example, in our situation, the cost of groceries and accommodation was shared by the group, but purchase of take-out, drinks, gas was the responsibility of each person/couple. Let everyone know to track the shared expenses and designate a person to collect this information so that at the end, everyone ends up paying the same amount once divided. Road trips usually require a good amount of fuel to get between destination points. Save on the cost of transportation by car pooling with other people. Whether you are going to the same destination or your stop is along the way, car pooling is not only cost effective, but environmentally friendly as well. Car pooling is most fun when the people you are travelling with have common interests and taste in music. Since you will be confined in a small space for many hours, these small things become important when on the road. Another benefit of renting a shared living space while on vacation is being able to cook and or prep food while on vacation. If your shared living space has an oven and stove, then you can be more elaborate with your meal preparations and dishes. However, some living arrangements may only have a fridge, coffee maker. microwave and a few other amenities. Even in this situation, you can still grocery shop, cook and save some money. Depending on how long your trip will be, you may want to make the food before you leave and pack it. Bring plenty of coolers to keep food fresh. Alternatively, you can bring with you an Instant Pot to the trip. Instant Pot works as a pressure cooker, slow cookers, rice cooker, yogurt maker and warmer. With its multi-use functions, you can make eggs, sausages, rice, chicken, beef and other meats, stew, soup etc. This one appliance is handy for substituting a stove, oven and many pots and pans. Have a brief meeting to discuss food preferences, allergies etc. before the trip. Although everyone can add their recommendations to the grocery list, designate one or two people to do the shopping on behalf of the group. This approach makes it easier for record keeping and re-distribution of funds after the trip. You may want to spend a little more on activities since you are saving in other areas, or you may want to keep these costs low as well. The activities you do will also depend on where you go. 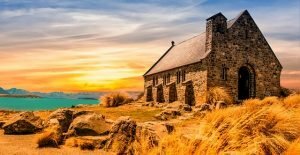 In my experience, the warmer the climate, the easier it is to find low cost activities because people tend to want to be outside than in doors. Some low-cost activities include: going to the beach, renting a bike for a few hours and exploring the city, playing board games after dinner, playing outside, going to a museum etc. Don’t rule out more expensive activities either. Pick one or two pricier activities for things you would like to do and enjoy yourself. If your saving in other areas, it will be money well spent. You can also try to find a deal on Groupon.